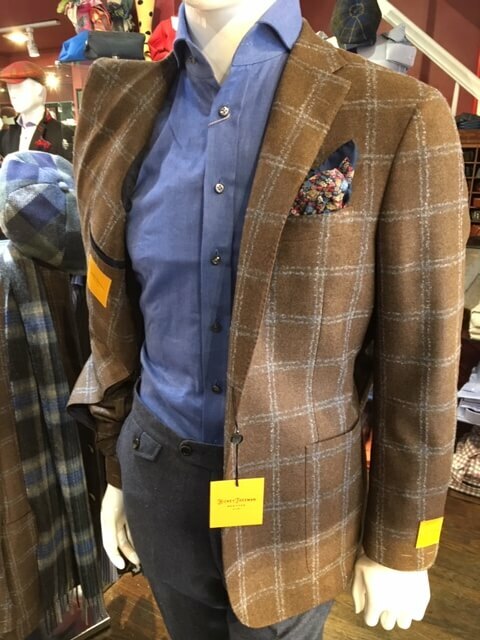 A lush brown with pale blue windowpane jacket. 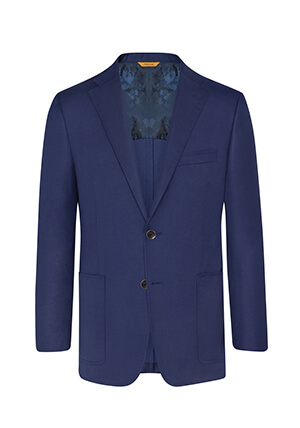 Fabric by Loro Piana of Italy in 93% wool, 7% cashmere. 1/4 lined jacket with patch pockets. B-body model in Brighton Soft. Two side vents, two button jacket. Made in USA.